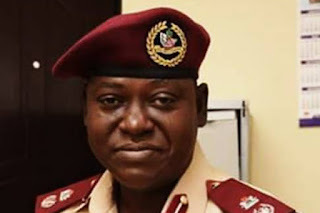 Home / Cars / Ondo State FRSC Boss Is Dead! Ondo State FRSC Boss Is Dead! The Ondo State Sector Commander (RS 11.2) of the Federal Road Safety Corps (FRSC) in Akure, Vincent Jack, is dead. He died from an undisclosed illness. Due to the illness, he was away from his official duties until his death. While confirming the news, Anotonia Oni, the Sector Public Enlightenment Officer of the Federal Road Safety Corps in Ondo State, Akure said that the death of Mr. Jack was a rude shock to the staff of the FRSC in the State. According to report monitored online, Mr. Vincent Jack died in Lagos.